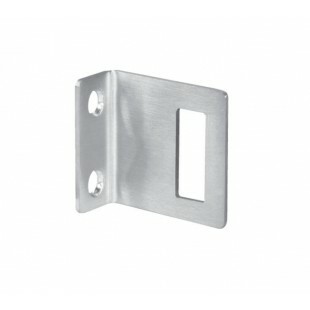 Our ‘L’ shaped cubicle lock keep is an ideal solution for those requiring a toilet cubicle lock keep for surface fixing to a 13mm board open-in cubicle door. 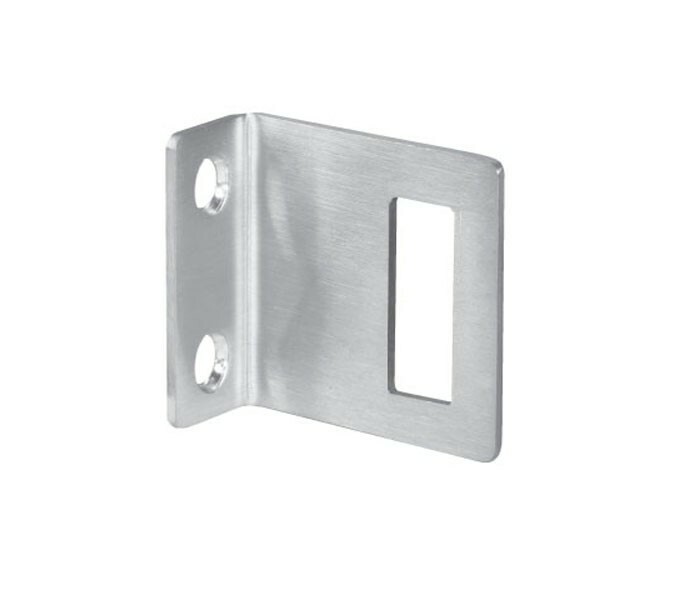 This high-quality item is manufactured from grade 304 satin stainless steel for a contemporary finish that matches with our extensive range of satin finished cubicle hardware. Our cubicle lock keep is sold complete with two 8mm rubber buffers ready for fitting. The buffers provide a dual functionality and are used to both ensure your keep is correctly aligned with the lock bolt when fitting and to avoid finger trapping when the cubicle door is shut.